Is coal mining in Britain heading for extinction? Deep coal mines were the bedrock of Britain’s industrial revolution and the struggle to save them, and the jobs and communities that relied on them, helped define the politics of the 1970s and 80s. But it looks as though Britain’s last two deep coal mines may soon close as a result of the slump in the coal price and the pressure to try to reduce carbon emissions. Controversial plans to produce gas by burning coal under the Firth of Forth have been put on hold owing to uncertainty over Scottish Government support for the project. 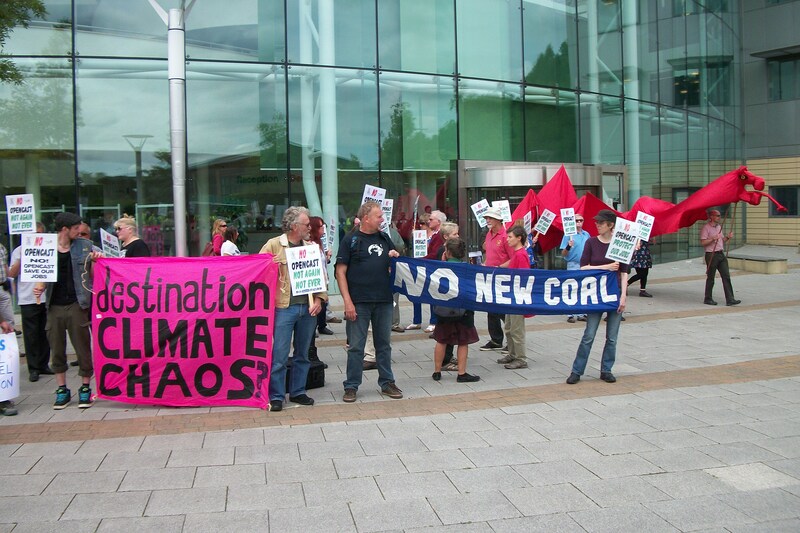 Meanwhile, community struggles against opencast coal projects continue. The Nant Llesg project in Wales has been rejected by Caerphilly Council and the Sunderland Echo reports that people in the Wearside village of West Rainton villagers are preparing to fight open-cast mine plans for their area. London Mining Network member groups Coal Action Network and Coal Action Scotland work with communities opposed to new opencast coal projects. London Mining Network also supports the worldwide campaign for divestment from fossil fuels. But we want a just transition away from coal and other fossil fuels: we need to move quickly to a low carbon economy, but mine workers and their families and communities must not be thrown on an economic scrap heap like they were in Britain in the 1980s. Mine workers must not be forced into unemployment or into low wage, insecure jobs. Government action is needed to ensure that they have well-paid, secure jobs in newer, greener industries.